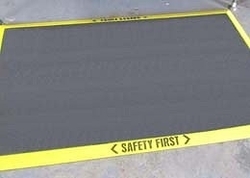 Machinist Mats have durability & optimal comfort for all stand-up jobs in industrial settings. Specially designed mat's beefy top coat provides advanced non-slip properties plus metal chip resistance. Call with your requirements for a job specific quote today!